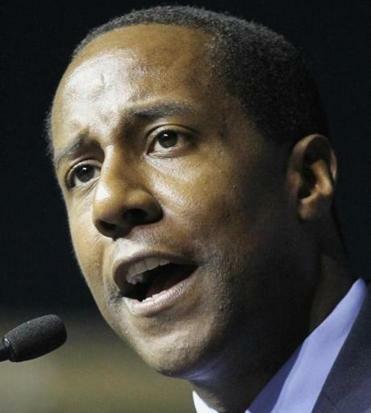 Setti Warren was Newton’s 214th highest-paid employee, trailing school superintendent and police and fire chiefs. Newton Mayor Setti Warren has proposed raising his own salary by $27,125 in the budget plan he presented to aldermen this week. Warren, a former candidate for US Senate, is recommending that his salary climb next fiscal year to $125,001, a 28 percent increase from his current annual pay of $97,876. “It’s not about me, it’s about the office of mayor,’’ said Warren, who is halfway through his first four-year term. The mayor’s pay should reflect the responsibilities that come with the job, he said. All city employees would get some sort of raise under Warren’s proposed budget, which still must be approved by the Board of Aldermen. Most would see their pay rise between 1.5 percent and 4 percent. But the mayor’s pay increase would be the heftiest. Last year, Warren was the city’s 214th highest-paid employee, trailing the school superintendent, police and fire chiefs, school principals, and numerous police officers. Superintendent David Fleishman led the city in pay, making about $254,574 last year. This is not the first time a mayoral raise has been suggested in the Garden City. A local commission recommended in 2005 that Newton’s mayor be paid $125,000, to bring the salary in line with what similar communities paid and closer to what the city’s department directors earned. That year, Newton aldermen authorized then-Mayor David Cohen to increase his salary to that amount, but he declined. Cohen sparked outrage when he asked for the raise in 2008, while also campaigning for a property tax increase to support city services. Cohen dropped his request for the raise, and voters rejected the tax increase. Cohen’s salary remained at $97,876 and Warren received that pay when he took office in 2010. Warren said he thought it was appropriate to request the salary increase now, after his administration has helped steer the city’s finances to more stable ground and wrapped up union contract negotiations. The higher salary will help attract higher caliber residents to run for mayor, Warren said. Warren has said he has not decided whether to run for a second term. He dropped his bid to challenge Republican US Senator Scott Brown last September after he was financially outgunned by Elizabeth Warren, a former adviser to President Obama who was able to quickly raise millions of dollars upon entering the Democratic field. But the mayor has continued to keep a high profile, speaking to the media on behalf of Obama’s reelection campaign. Alderwoman Cheryl Lappin said she has no objections to the raise. “I think it should have happened a long time ago,’’ Lappin said.